The ExReg from Schischek is designed to address applications in the building automation sector that require high performance, cost-effective and easy-to-use explosion-proof control systems. 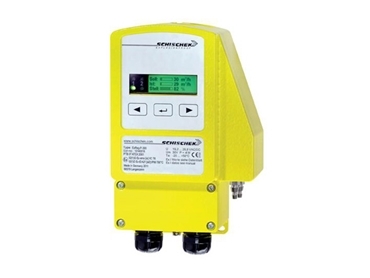 Designed to ensure smooth operation when controlling HVAC systems for variable air volume (VAV), pressure, temperature and humidity by minimising the number of separate components required, the new ExReg control unit is developed from the successful ExCos and ExBin HVAC sensor series used extensively in hazardous area locations including ATEX zones 1, 2, 21 & 22. The ExReg’s compact design incorporates an internal proportional-integral-derivative (PID) control structure. The parameterisation process is easy to use and automatically achieved for standard applications. The system provides support, especially during the start up process with many predefined settings and damper characteristics. Features retained in the ExReg control unit from the globally established ExCos and ExBin series include the elimination of intrinsically safe wiring, digital adjustment, actual value indication and LED status display. Designed for electrical and mechanical compatibility with market standards, the ExReg is suitable for 24Vac or dc supplies and is environmentally protected to IP66. ExReg’s introduction further expands the Schischek range of market-leading explosion-proof control products, backed by worldwide support and engineers experienced in explosion-proof applications. Schischek specialises in the supply of electric explosion-proof control products for building automation in a wide range of industrial sectors including oil & gas, shipbuilding, chemicals, pharmaceuticals and water treatment. Schischek is now part of the Rotork group of flow control companies and is available from Rotork Australia .